Welcome back to another episode of Covers from the Unknown! I believe it is a foregone conclusion that as excited as everyone is to see Batman vs Superman, one of the stars that could take over that movie is Wonder Woman. I have slowly started to see her comics take off, and I believe it's only on the up and up from here. 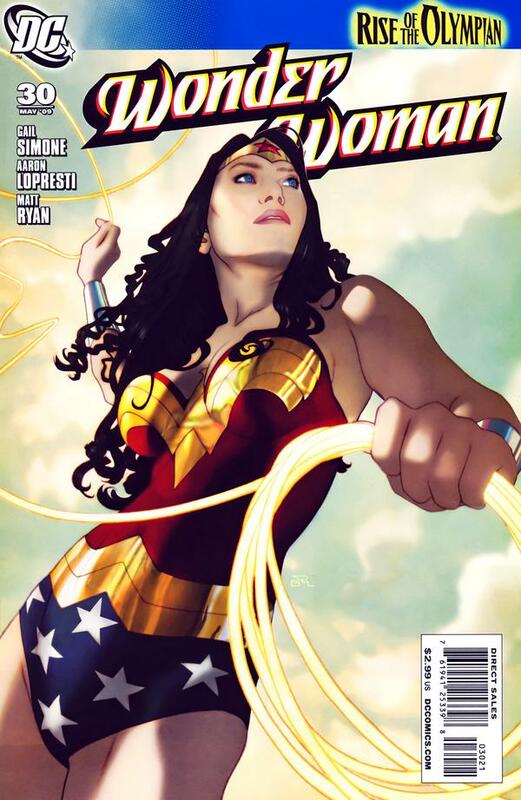 To jump right into this, I give you Wonder Woman #30, from volume 3, the 1:10 variant by Josh Middleton. I am not sure how this cover slipped past me all these years, but this is a must have IMHO. This is not exactly Hughes, JSC, Granov material, but this, in its simplicity is Wonder Woman at her finest. It almost looks like this cover could come to life. There are exactly 3 of these on the bay and amazon at this moment. If you are going to act on one of these, I would do it quick. Don't second guess. It could quickly be a $50 book. The 3 that are out there right now, are all under that. For print run, the regular series had a print run of 30k. But I also know not many stores ordered even 10 copies of Wonder Woman at this time. So, I could say there are about 3,000 of these out there, but I think I may be lying in doing so. I fear it is much less. Get em now! Happy Hunting Fellas! Her face on that cover just doesn’t look right, can’t pin it down just just looks off. Are you selling the only one of Ebay ? LOL! No sorry! Not me. I have an ebay store, but that’s not me! If you’re going to accuse someone of trying to pump and dump, I will start deleting every one of your comments. I have no issues if you don’t agree – you have every right to give your opinion, and I have respected that even when your prior comments were not liked by others. Jason has featured many, many books that he has thought would be worth looking at. His spec may not suit everyone, but he is willing to share his tips on a regular basis. I look forward to the day you learn how to interact with your fellow comic book enthusiasts in a positive manner, but until then I will continue to monitor your comments. Grow up so I do not need to babysit you. Cmon canledtric, i already babysit you on cgc boards, now here too? I’ve seen this before but passed. Art just doesn’t do it for me. This and the #27 Quitely variant are both favorites of mine. Greetings. Great site by the way. Quick question is this issue worth getting slabbed in your opinion? Thanks keep up the great job.